Better ProcessWire text editor for developers and at least 'a little' tech savvy clients, sporting syntax highlighted, highly readable theme. Supports Textile, Markdown and HTML. 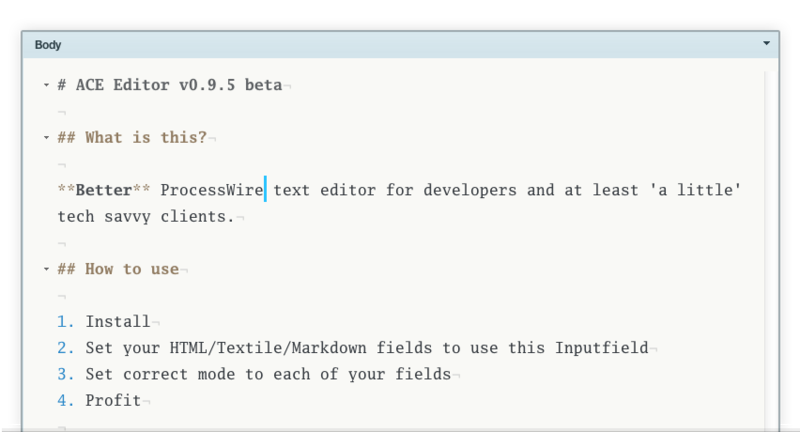 Better ProcessWire text editor for developers and at least 'a little' tech savvy clients.